These days it seems like everyone is looking for a way to pay off debt without actually understanding debt and considering the best way to pay it off. Believe it or not, some debt is considered “good” debt. Debt that has long-term value combined with reasonable interest rates that you can sustain for a long period of time and still be better for it is often considered “good”. Examples of this debt include student loans and mortgages. Other debt, the kind that offers no financial betterment over the long term and has a high interest rate that prevents you from setting enough money aside for savings is “bad” debt and should be paid off as soon as possible after it is accrued. To many this seems like an impossible task but learning how to pay off debt isn’t hard it just takes discipline and dedication. Step 1: Determine what your debt is. 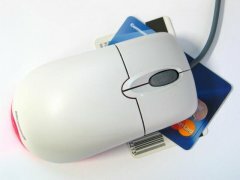 In order to pay off debt, you must first know what your debt is and what the interest rates are. On a piece of paper write down the names of each of the credit card companies or banks that you owe money to. Next to each, write down the reason for your debt with them, the amount of the debt and the interest rate. Step 2: Highlight the bad debt. Go through the list of debt that you just created and highlight in yellow all those debts that are “bad.” This will include anything that does not create long-term value to your bottom line either through a valuable asset or improved pay in the workforce and that also has a high interest rate. Then, with a green highlighter, highlight those debts which would be considered “bad” but that have a low interest rate. One example would be credit card debt that is currently enjoying a low or no interest introductory rate. Step 3: Plan to pay off debt with high interest first. Look at the debts you highlighted in yellow, choose the one that you are accumulating the most interest on and work your budget around paying higher than required payments on that debt. As you set your sites on one debt account and make aggressive payments on it, do not neglect to at least make the minimum payments on your other debt accounts. If you do not, you could actually increase your debt and ruin your credit by accruing late and over-the-limit-fees. Remember—your highest interest rate is not necessarily the debt account you pay the most interest on. You must consider the amount of your balances and the interest rates applied to them to determine which accounts have the most interest expense. In general, you should pay off your high interest rate debt first. However, if you want a sense of instant gratification and you have a low interest debt that could be paid off completely with one or two aggressive payments, then you can attack that debt first. Each time you pay off one debt cross it off the list and focus on the next. Once you have paid off everything highlighted in yellow move on to those debts highlighted in green. 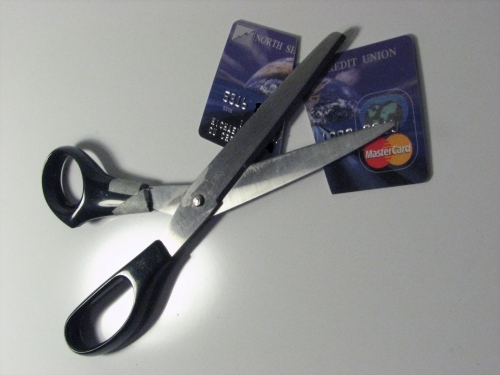 Be sure to cut up all credit cards so that you are not able to accrue new debt. You may be tempted to close the credit accounts all together, but that could have an adverse affect on your credit score. Eventually, as you pay off all your bad debt you can move on to aggressively paying off your good debt so you can enjoy all the perks of a debt-free existence. At that point you’ll no longer be asking how to pay off debt, but you will be learning how to enjoy financial freedom. You may also enjoy How Freelancers Can Plan for Retirement and 25 Businesses You Can Start From Home (With Little to no Money). The number two tip is the first I did when I got into the bad debt a long time ago.